Stucco Contractors GTA – Alasya Construction Ltd.
Stucco has been widely used in most of the construction projects due to its versatility, durability and availability. Whether it’s a commercial or a residential building; damage might appear on older installations and applications and even the newer ones if it’s not done correctly. Our Stucco Contractors GTA at ALASYA CONSTRUCTION; are masters of their skill and work. Older plaster surfaces which are exposed to extreme weather conditions, such as rain, snow, and sunshine are more likely to get damage. Property repair and maintenance must not be ignored. If the damage is not repaired on time you might have to spend more money. Even sometimes might have to reinstall the whole surface area again. While working on stucco repair or maintenance projects; we make sure to check for hidden problems. The walls be should structurally sound and in good condition prior to stucco repair. Our Stucco Contractors GTA will make sure not to ignore any major problems. Our team will not try to mask the problem but we highlight it. Every project that we work on we try to be clear and transparent with our client. On every stage, we inform our client with the progress of the project whether it’s big or small. Alasya construction is Professional in Stucco contractors GTA, especially in custom designed Stucco-EIFS. Most people use the word stucco and Exterior Insulated Finishing Systems (EIFS) interchangeably. This is an insulated finishing system with a textured and colored finish. It has exceptional Thermal Resistance Value (R-Value) and various thicknesses of insulation. The major advantages to EIFS are not only its resistance value but the notable richness it adds to the exterior façade of the house. Compared to brick, stone, and other paneling exterior cladding it is cost-effective. We work with pioneering and reputable manufacturers like DuRock Alfacing and Canamould Extrusions Inc to offer the best service to our clients. Alasya Construction gave guarantee the workmanship of all of our services. We only use material approved by the Canadian Construction Material Centre (CCMC). Being a homeowner will give a feeling of pride, security and comfort. In order to maintain and keep our homes and property in good shape and condition, we have to focus on its maintenance. A well-maintained property will raise the overall value. Most of the homeowners are reluctant to do the maintenance and repair because of the financial investment involved. Increase in the costs of Maintenance of the properties is generally because of the continual increase in the services and material involved. One of every common cost-effective solution is the use of Stucco- Exterior Insulated Finishing Systems (EIFS). Stucco-EIFS is the first choice of many contractors due to its energy efficient, artistic appeal, cost-effectiveness. Our Stucco contractors GTA specializes in their work and they are masters of their job. This is an insulated finishing system with a textured and colored finish. It has exceptional Thermal Resistance Value (R-Value). Its energy efficient properties which help to keep the house cooler in summer and warmer in the winters. It’s a good solution for waterproofing as it prevents water or moisture to penetrate. Stucco is very durable and it will last for a long period of time. It has very fast installation as compared to the other options. 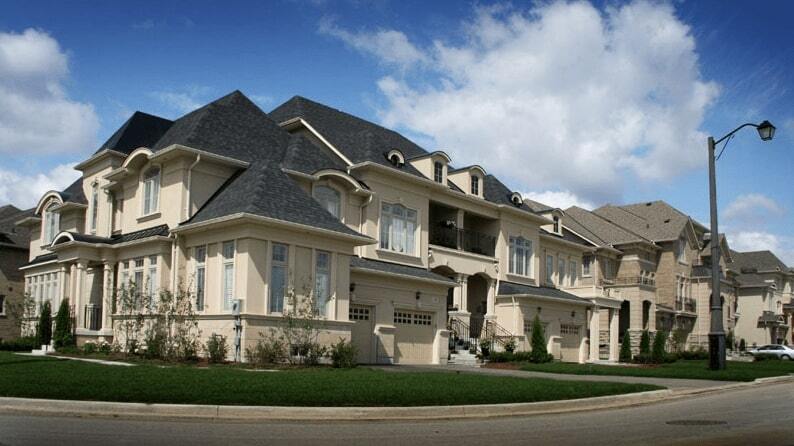 Our Stucco Contractors GTA has always provided the best services to our clients. We strongly believe in providing the best quality materials in our projects. We only use material approved by the Canadian Construction Material Centre (CCMC). Alasya COnstruction work with pioneering and reputable manufacturers like DuRock Alfacing and Canamould Extrusions Inc to offer the best service to our clients. Contact us today, we will be happy to help you. You can also find Professional renovation Services, ALASYA CONSTRUCTION provides best services of Home Renovations Toronto and surroundings. Alasya Construction is a stucco installation and repairs company. We are Professional in Stucco contractors GTA, especially in custom designed EIFS.